Upon seeing the Sharing and Caring Hands building, an organization that has helped countless lives in the Minneapolis community, demolished by bulldozers, one should frown at the tragic site. But this morning, the destruction comes not with any sort of sadness, but excitement for what is in store for this organization with their huge facility upgrade. The old builidng's destruciton will make way for an even bigger and brand new facility to help those in need residing in Minneapolis. The $5 million renovation will bring more space for youth centers and even temporay housing to help get families back on their feet. Located right next to Target Field, this faith-driven organization has provided the needy in the community with food, clothing, temporary shelter, transportation, and so much more for the past three decades. The old building no longer facilitated the ability to properly serve those coming to their door -- this new facility will pave the way to help more of those who need it. The new facility is set to open mid-summer and will have family size housing, new children and teen centers and much more space to accommodate all those coming through their doors. During the construction of the new building, no homeless families were displaced -- all good news. Besides the beauty of green growth and the warmth that spring brings, for Minnesotans it also means a plethora of great outdoor events to enjoy. 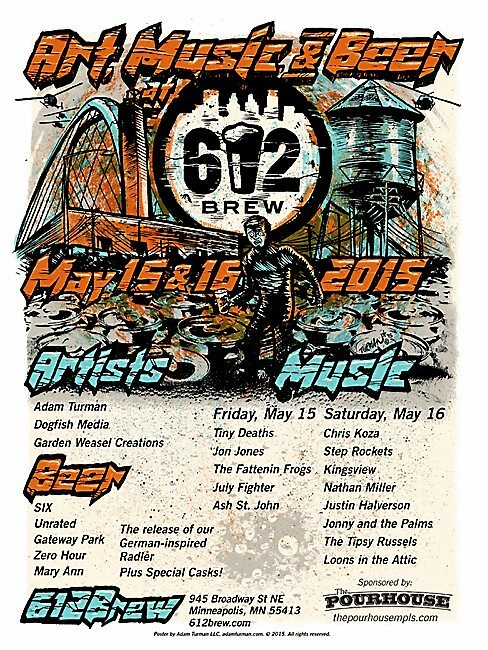 On May 15th and 16th, the 612 Brew Art Music and Beer festival will be in full swing as part of the Art-A-Whirl festivities in Northeast Minneapolis. The event is open to the public and best of all, free. This event features a ton of live music for visitors to enjoy as well as an open studio which showcases the works of three talented local artists. On Friday evening, five bands will be featured with Saturday hosting eight bands -- some of the headlining acts are: Loons in the Attic, July Fighter, Nathan Miller and Ash St. John. With all this entertainment, visitors are bound to get hungry -- to remidy that, six tasty food trucks will be on site. And to wash it all down, there is going to be plenty of beer. 612 Brewery will be serving its five most popular beers during the festivities. To find more information, check out 612 Brewery's website.